Klosterneuburg. 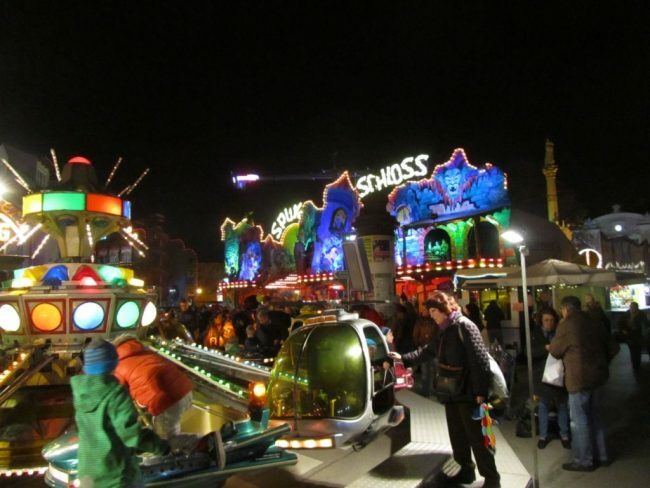 The pen and the city once again invite you to barrel slides, to the amusement park on the town hall square and to the wine tasting. A visit to the festival can also be combined with a visit to the monastery, according to a city hall broadcast. In addition to the approximately 30 amusement businesses and 80 market stalls on the Town Hall Square, one of the highlights of the actual feast day (15 November) is the visit of the high office in the collegiate church. The traditional Fasslrutschen in Binderstadl is also a fixture when “Leopoldi” is celebrated. Adults pay 2.50 euros, children 1.50 euros. The net will once again benefit the project “A home for street children” from the Concordia social projects. In the Babenbergerhalle the wine tasting and music program takes place. Only during the Leopold manifesto can the skull relic of St. Leopold be seen in the abbey. It is according to the broadcast in a magnificent state since the year 1723, in which several older pieces of jewelry, mainly Augsburg origin, are displayed. The relic will be in reverence from the 12th to the 18th of November in front of the Verdun Altar, making it the center of traditional pilgrimage. St. Leopold has been a patron saint of Lower Austria and Vienna since 1663. More than 900 years ago he founded Klosterneuburg Abbey.